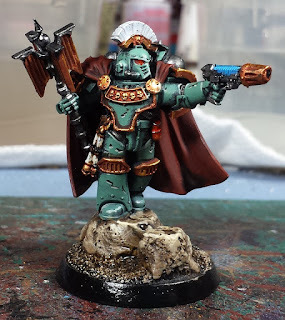 Mordian 7th Regiment: Heresy Era Sons of Horus - Test model (more or less) complete! 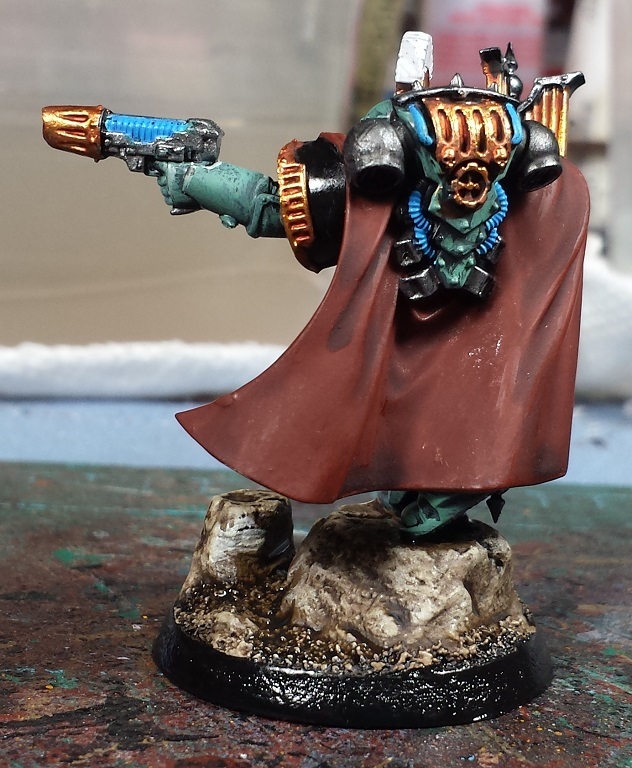 Heresy Era Sons of Horus - Test model (more or less) complete! Quick hit this evening - Chugging along on the 20 assault marines, but just had to take a little time and bash out the rest of the tester model for the incipient Sons of Horus force! Really quite pleased with the seafoam green, and though the cloak is relatively unadorned at the moment, I rather like the desaturated reddish brown. Works from a color theory standpoint and yet hopefully avoids the worst of the "Christmas Effect". Tried a little bit of pitting and scratching, which will require a bit more practice. It's passable but could definitely be improved - practice makes perfect, right? No further Sons of Horus work planned for the immediate future however, something else will have to be completed and sold first to fund the force! Yeah the colours work well together, Great job. 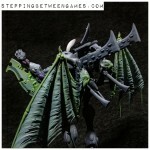 Death to the taters and their potato faced leader -_- Nice paint job though. Always nice to have a little break now and then to break things up. I really love the colours of the Sons of Horus, the tester is looking great. Look forward to his comrades. Nice work man! The chipping looks solid! @Rory Priest: Indeed! I'm pretty happy with the color and it's a nice change from the sea of crimson! @Bronislaw Czevak: Thanks very much! @Francesc: Thanks! The cape is pretty uninspiring at the moment, was mostly just testing out the color combo. Will likely give it a bit more depth on the 'real' models on down the road. @Todd Sherman: I appreciate it! It's an incremental improvement each time, gotta keep on trying new techniques! Did you ever think of using the Numarines (or sigmarine kits, for that matter) to make a truescale army? Heresy Era Thousand Sons - Drop Pods complete!